Posted February 6, 2015 by Matthew Dennis & filed under Lists. We’re counting down the days until the launch of Thunderbirds Are Go, ITV’s brand new series based on the Gerry Anderson’s classic 1960’s show. 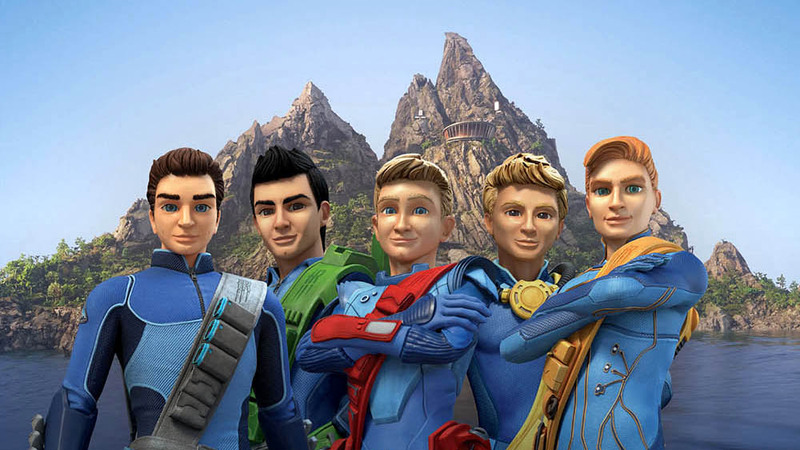 With the brilliant team behind Weta Workshop (The Lord of the Rings trilogy) providing the action in both CGI and miniature form, and with a top notch voice cast consisting of old and new stars, we’re stoked as heck to see International Rescue back on our screens (the less we say about the 2005 movie, the better though). You know it’s going to be a good episode when it kicks off midway through a rescue mission! 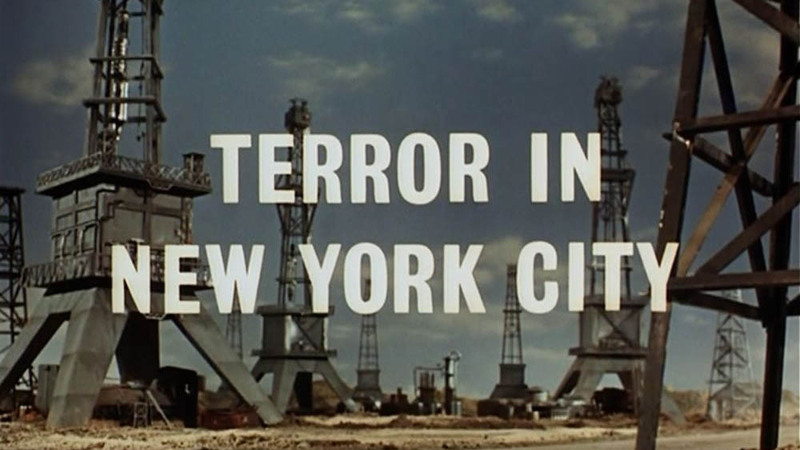 ‘Terror in New York City’ is a tight and well paced episode that delivers plenty of shocks and thrills. Thunderbird 2 is mistaken for an enemy aircraft by the US Navy and is attacked, leaving it out of action, just as the Empire State Building collapses on top of two reporters, making a simple rescue mission near impossible for the Tracy brothers. It’s a story that is fast moving, tense and filled with plenty of great action sequences. A manned space mission to take a sample of the sun goes haywire, leaving the titular spacecraft and its crew on a collision course with the sun. 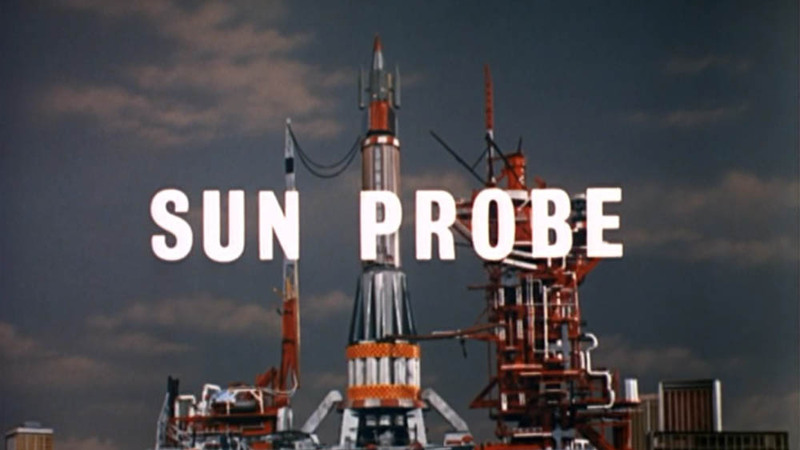 Thunderbirds didn’t often feature many space rescues, but ‘Sun Probe’ is terrific stuff. Featuring a great twist at the midway point that ups the drama majorly, it’s another episode that leaves viewers on the edge of their seat time and time again. Scott and Virgil are forced to use faulty equipment that previously left them unconscious in order to save the lives of a family trapped in a raging inferno. The best episodes of Thunderbirds feature the International Rescue team front and centre, and ‘City of Fire’ makes for an involving and exciting watch as a result of the dilemma the Tracy boys are left to deal with. Showcasing just why we love these brave characters, ‘City of Fire’ features some truly spectacular visuals and rocks along at a fair lick, resulting in one of the slickest and most entertaining of episodes. 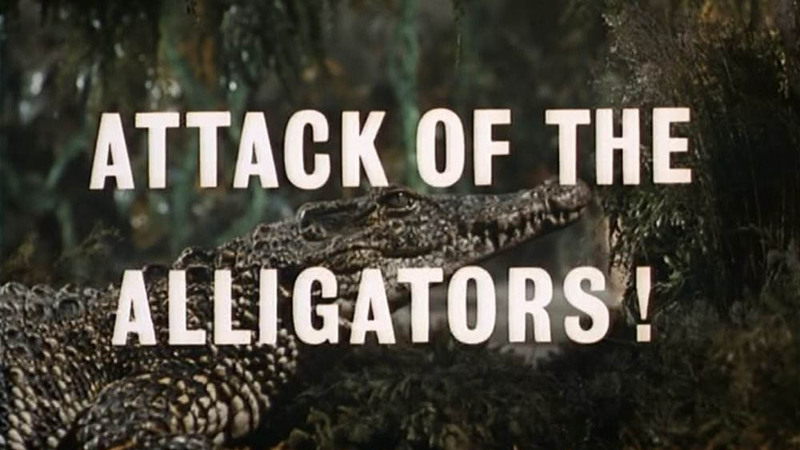 ‘Attack of the Alligators!’ really shouldn’t work. And yet, despite its crazy and outlandish plot involving giant mutated alligators, it serves as one of the best episodes of Thunderbirds ever made. Maybe it’s the thrill of seeing real life alligators ‘acting’ alongside our puppet heroes, or just the show trying something a little different to aircraft and bridge rescues, but it certainly makes for a barmy and entertaining 50 minutes nonetheless. 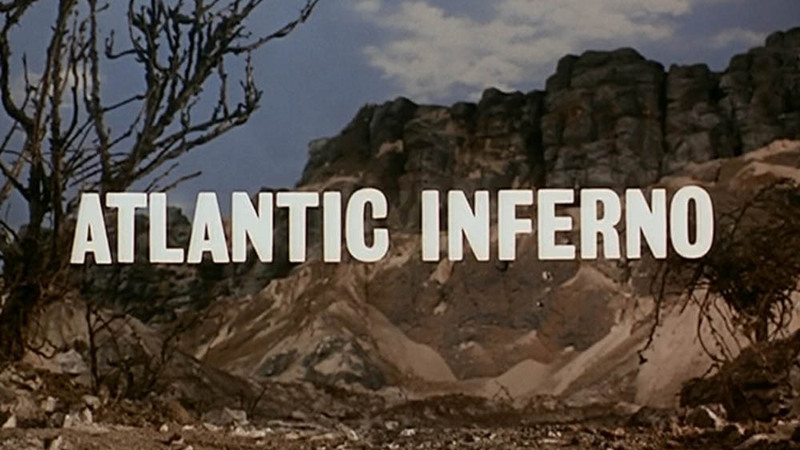 A reluctant Jeff takes a vacation, leaving Scott in charge of International Rescue, just as an oil rig comes under threat from a huge jet of flame from beneath the surface of the Atlantic Ocean. It’s a great character-building episode for both Scott and Jeff, something the show didn’t focus on often, whilst the rescue scenes on the Seascape rig are a special effects triumph. > Buy the complete Thunderbirds collection on Blu-ray on Amazon. > Follow Matthew Dennis on Twitter. I did expect to see ‘Trapped in the Sky’ to be in the list as I’ve often cited it as the most exciting piece of television ever made. However the reality is it only applies to the episode’s finale. The lead up and Fireflash rescue sequence is outstanding, but there is an awful lot of padding to get through to arrive there (I am aware that this was originally made as a half-hour pilot). I’ve just started re-watching the (proper) Thunderbirds. I was a 9 year old child when the series was re-shown by the BBC in 2001. 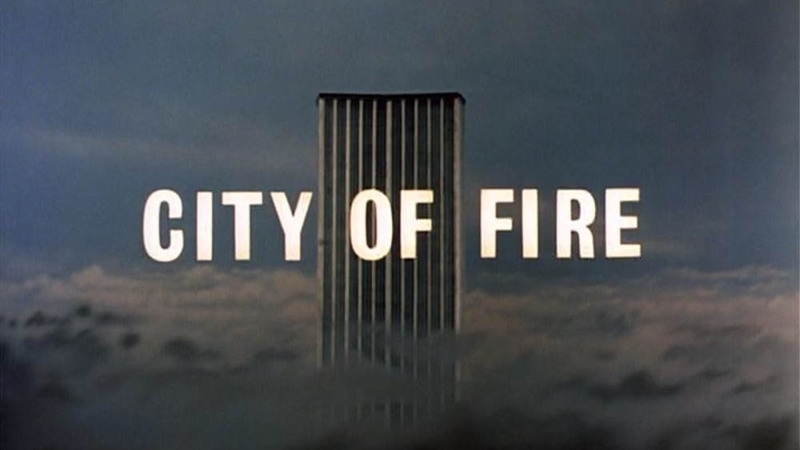 I’d never seen “City Of Fire” before, it is chilling to watch this episode in the context of the world in which we now live. No wonder the Beeb didn’t show it at that time. My favourite episode is Day of Disaster. Allington Suspension Bridge and the Martion Probe Rocket are two of the best props in the entire series. The actual disaster sequence of the bridge collapsing is among the most stunning and exciting filmed. The characters of the pompous bridge superintendent and his engineer, Dave Clayton are two of the best “drawn” characters featured and the plot of the superintendent initially refusing to call International Rescue adds to the pacing and tempo and tension. The abortive rescue attempt with the cranes is also exciting and to add to the excitement, there is the humourous sub plot of Clayton and his boss thinking Brains is an escaped lunatic. All this and 3 Thunderbirds featured and a large number of cast regulars are featured with each having plenty to do. The perfect Thunderbirds episode. I’m kinda sad that I never got to watch these. I’m a huge Thunderbirds fan, and have been trying to find copies of the original episodes to watch. So far, though, I’ve had no luck. Any website recommendations? It depends on your location, but it should be easy enough to just google ‘Watch Thunderbirds 1965 online’. If that doesn’t work, the complete original series is out on DVD. I even own a copy.